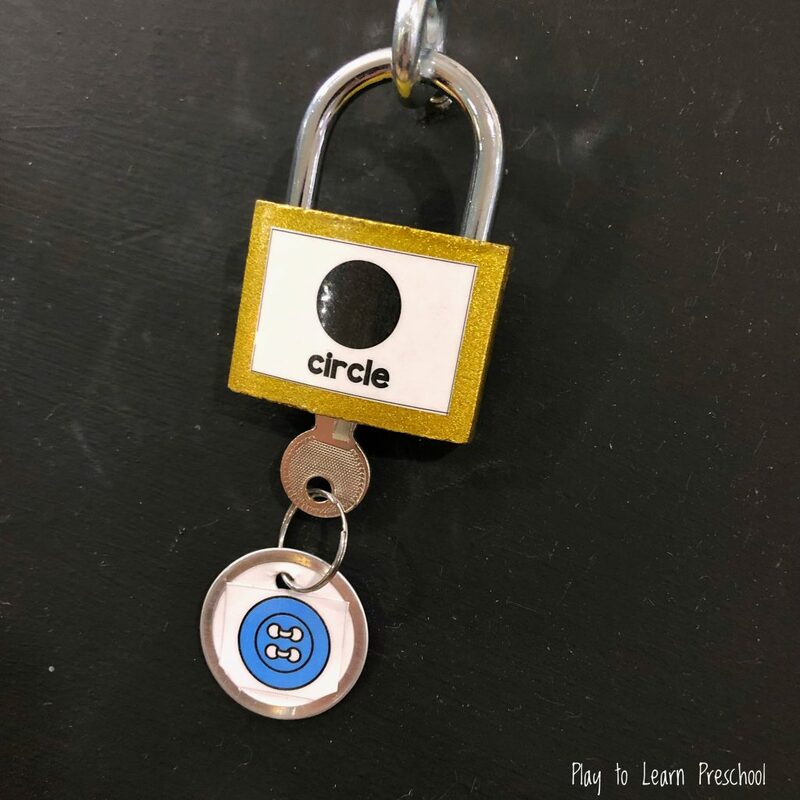 This activity has the “key” to keeping students occupied while learning. 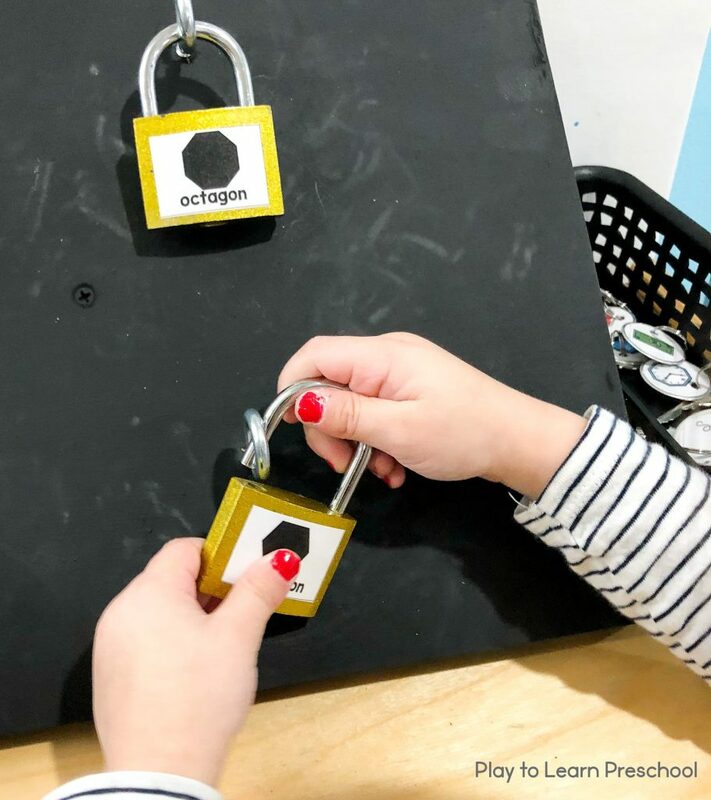 A little hardware and handiwork are all it takes to create an engaging lock and key station that covers shape matching, shape identification, hand-eye coordination, hand strength, cause and effect, and engineering…all in one compact activity center! 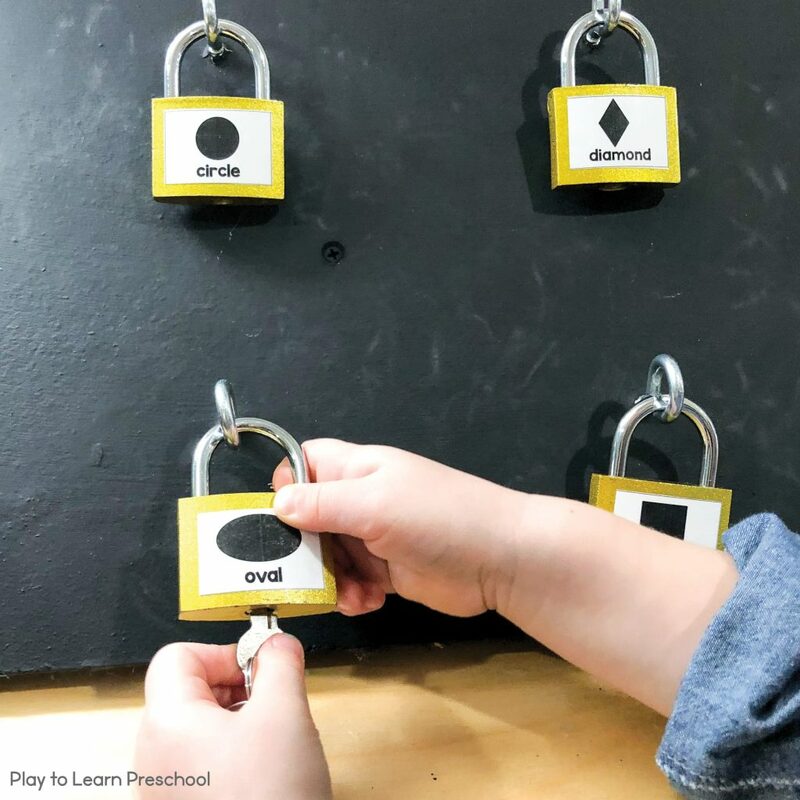 Create an irresistible way for preschoolers to practice identifying and matching 2D shapes by set up shape games like this one. a little of your own STEM skills for assembly. 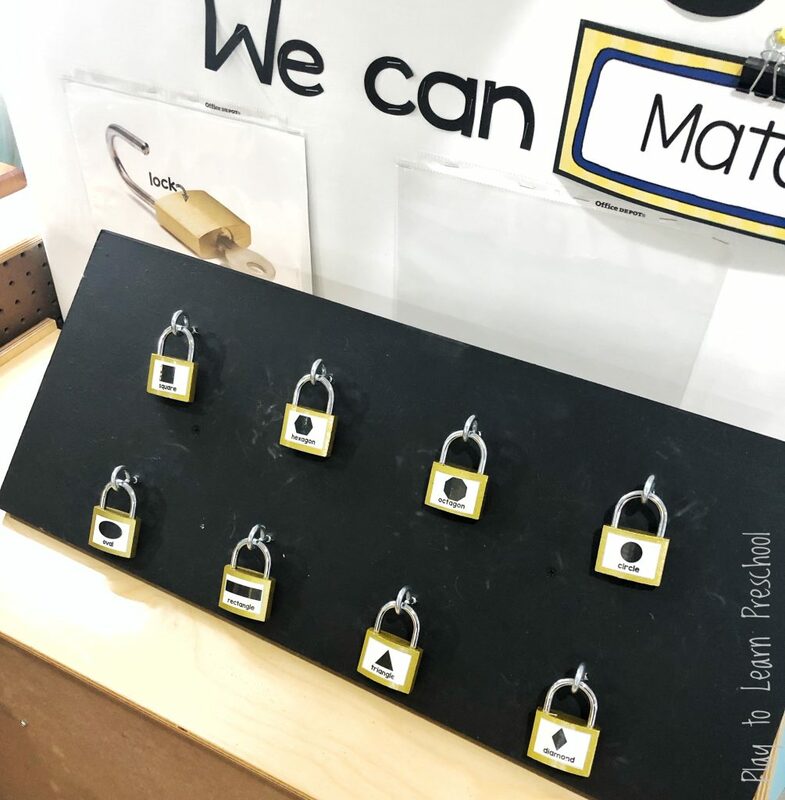 Create a board to hold the locks. A vertical or horizontal surface would work as well, but the angled surface makes it more appealing. 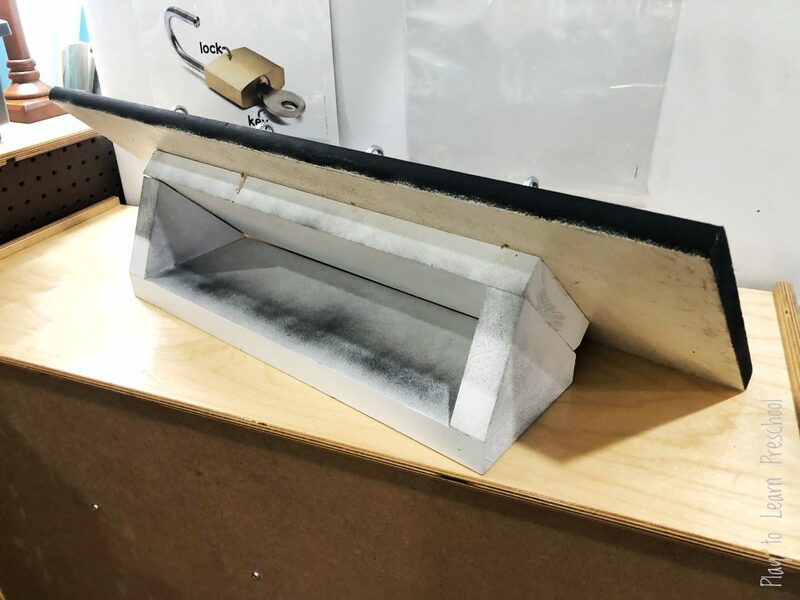 First, paint the board and don’t forget the edges! Next, attach the wedge on the back, if you are using one. Finally, fasten the eye screws into the board to hold the locks in place. For the locks, print out the pages with the shapes and the key fobs. 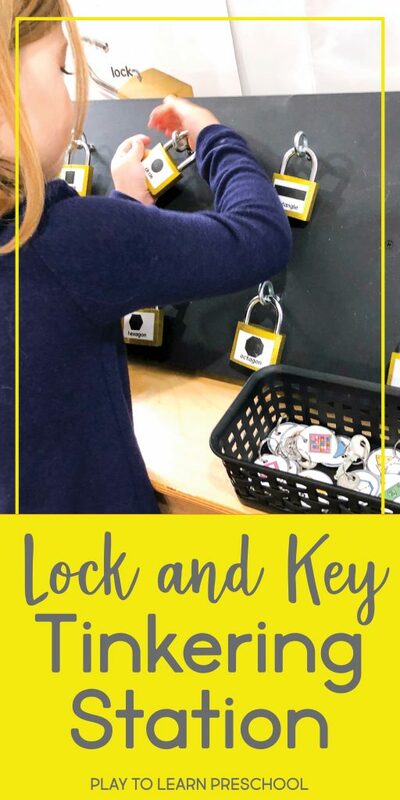 Using heavy clear tape, or spray adhesive, attach the black shape picture labels to the locks and the colored pictures to the key ring labels. The lock pictured below (from the dollar store) came with 3 keys. Each set of keys is unique to that padlock. Don’t forget to match up the keys with the locks and attach the correct pictures to the corresponding locks. Time work on Shape Matching! 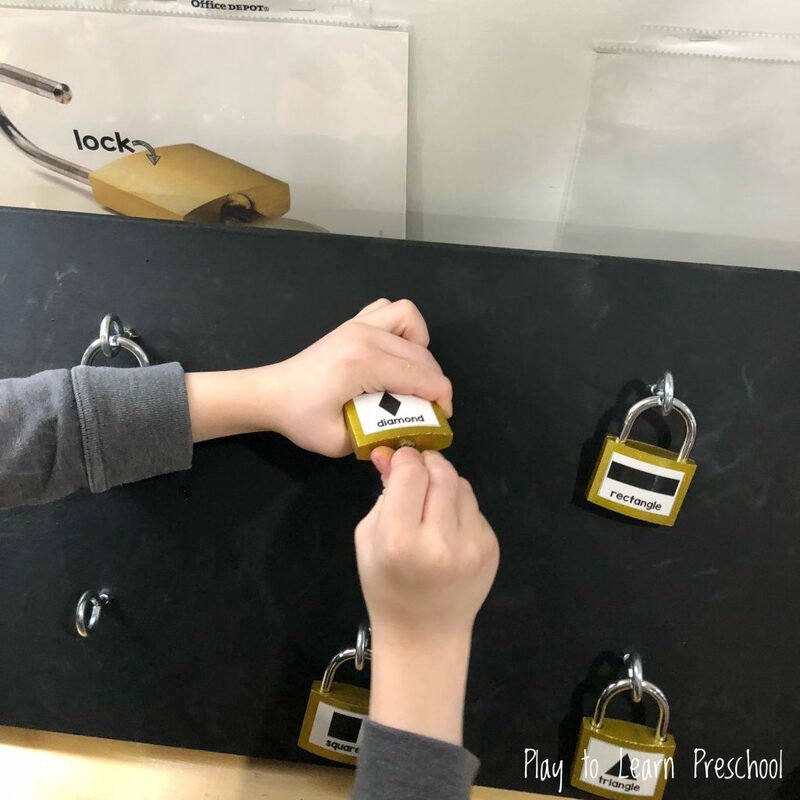 Students can take turns or work as a team matching the different shapes to the locks. 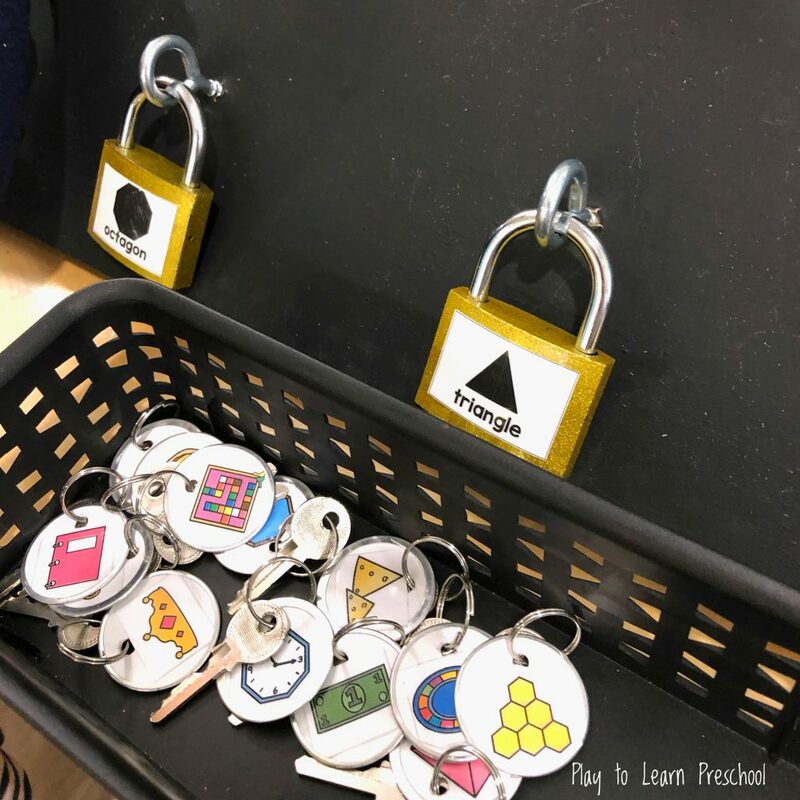 This activity is great for self-checking as the locks will only unlock the corresponding shape. Unlocking these padlocks requires both hand and finger strength. It is such a clever “tinkering” STEM activity for especially busy kids. Just as quickly as one child unlocks a lock, another will lock it back up. The fun never ends. It’s a newer educational buzz, also sometimes written as “STEAM” with the A for Arts included. It’s much more than just focusing on these topics, however. STEM is a philosophy at its core. 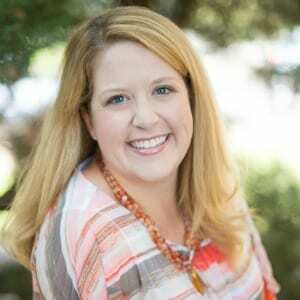 The goal is to provide opportunities for children to view the same subject matter in a variety of real-life, hands-on opportunities, as well as blending the topics into real applications. This keeps the material relevant to the students and develops a strong foundation for their future. In essence, we are teaching children to think out of the box and to solve problems that have not even been created yet. Lifelong learning? Yes!! 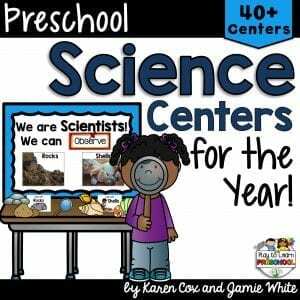 Preschool children are active learners, and with their curiosity and energy, it only makes sense to begin laying the foundation for STEM learning. Allowing them to investigate and explore, touch, and experience hands-on, they are engaging in STEM style learning. What happens when we put an incorrect key in the lock? What happens if we turn it to the left instead of the right? 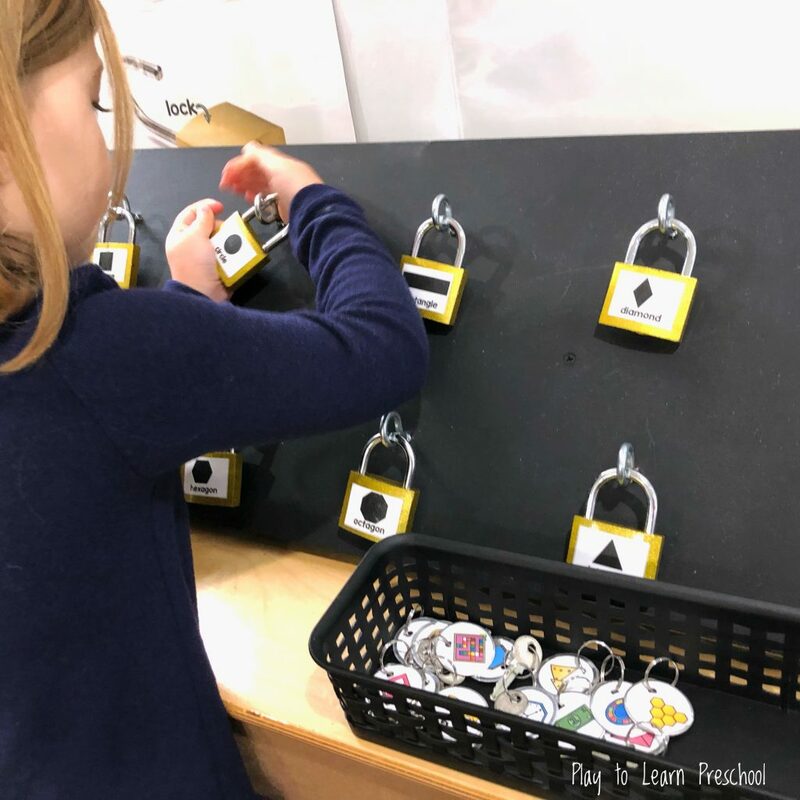 And of course, we reinforce knowledge of shapes and pre-reading skills by looking at the labels to find the correct key for each lock. This is guaranteed to become one of the most popular shape games in your classroom. Not working on shapes? It’s easy to modify this activity to practice numbers, colors, letters, letter sounds, rhyming words, and more! The possibilities are endless. Love this activity? Don’t forget to pin the image below.